Here in Lake Worth, walking into our cool, air-conditioned homes on a hot and humid day feels heavenly, but when our air conditioners break down and the humidity creeps in, we quickly realize just how much we need our air conditioners. Our technicians are not only NATE certified but are always up front every step of the way to ensure your 100% satisfaction and comfort. At Palm Air, we believe that top-quality service and fair prices go hand-in-hand. Our customers breathe easier knowing that we stand out from the crowd by being upfront and honest. Whether you wake up in the morning to find your system isn’t working, or you come home late at night to a hot and humid home, we are always available to fix any unexpected repairs right away. Our NATE certified technicians are your single point of contact for any questions and concerns you have—before, during, and after work is completed. We provide detailed, inclusive proposals to our customers, and when we give you a quote, we stick to it. Here in Lake Worth, walking into our cool, air-conditioned homes on a hot and humid day feels heavenly, but when our air conditioners break down and the humidity creeps in, we quickly realize just how much we need our air conditioners. Your air conditioning system will likely have issues throughout its lifespan, and when it does, you need an air conditioning company that you can trust to give you a fair price without losing any quality with service. 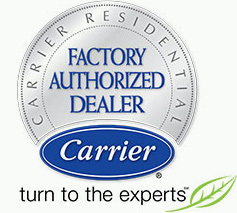 24 Hour Emergency AC Repair: We understand that 24/7 emergency repairs are of the utmost importance to our customers. Whether you wake up in the morning to find your system isn’t working, or you come home late at night to a hot and humid home, we are always available to fix any unexpected repairs right away. 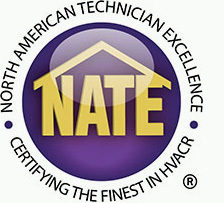 NATE Certified: Our technicians are not only NATE certified but are always up front every step of the way to ensure your 100% satisfaction and comfort. Our NATE certified technicians are your single point of contact for any questions and concerns you have—before, during, and after work is completed. Upfront & Honest Pricing: At Palm Air, we believe that top-quality service and fair prices go hand-in-hand. Our customers breathe easier knowing that we stand out from the crowd by being upfront and honest. We provide detailed, inclusive proposals to our customers, and when we give you a quote, we stick to it.